The number of vehicles without road tax - Vehicle Excise Duty (VED) - doubled to 560,000 this summer according to the Department for Transport's survey, months after the paper tax disc was abolished in October 2014. The Department for Transport admits these changes probably caused the increase in untaxed vehicles. The last survey was carried out in 2013 when the figure was 210,000. The RAC says the figures are "worrying and disappointing". It claims there may well be a correlation between evasion of tax and the number of people driving without insurance. The 560,000 vehicles represent about 1.4% of UK vehicles, up from 0.6%. Last year, the paper tax disc was abolished, and the authorities now use a network of cameras linked to a database to work out which vehicles are being driven illegally. "Almost 99% of all vehicles on the road are correctly taxed: that's around £6bn in vehicle tax passed to the Treasury every year," said Oliver Morley, chief executive of the Driver and Vehicle Licensing Agency. "We write to every registered vehicle keeper in the UK to remind them when their tax is due and we have introduced a range of measures to make vehicle tax easy to pay. At the same time we are taking action against those who are determined to break the law." 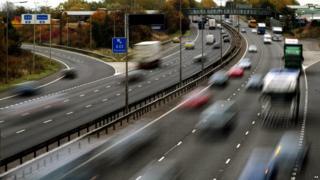 But RAC chief engineer David Bizley said: "These are very worrying and disappointing statistics indeed. Sadly, the concerns we raised about the number of car tax evaders going up at the time the tax disc was consigned to history have become a reality. The loss in revenue for the government is "significant", he said, having risen from £35m in 2013 to an estimated £80m now "and, it has to be pointed out, far exceeds the forecast £10m efficiency saving". He called for the survey to be repeated in a year's time to test whether the new system was largely to blame. "We really cannot afford for this to increase again for the sake of both road safety and the country's finances. Hopefully, much of the increase in evasion is due to the system being new and these figures will reduce as motorists become more familiar with how it works." How can a driving licence improve health?